Aurveda is the accumulation of thousands of generations' worth of knowledge. 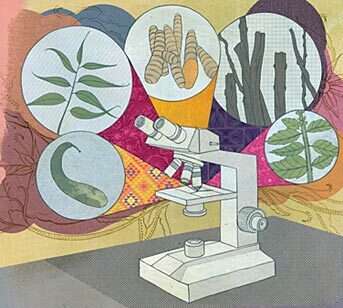 Natural Healing ?Will India succeed in bringing its ancient Ayurvedic plant medicines into the modern world? 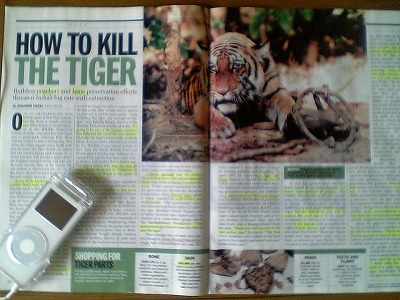 The human greed for money is driving Indian tigers into a corner of “ecological extinction”. Even the Indian government can’t stop poachers hunting tigers not only because she doesn’t take it serious but because poor farmers and tribal groups living in the tiger-reserve areas depend on tiger-oriented money. What is more important and should not be forgotten is that we, human beings, are the part of ecological system as well as those tigers in danger of “ecological extinction”. 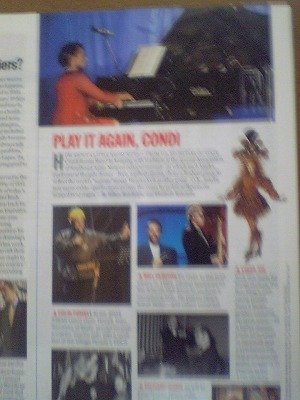 HOW ABOUT A LITTLE NIGHT MUSIC - FROM U.S. SECRETARY OF STATE Condolezza Rice? ----Rice, a gifted pianist, chose a Brahms piece to reflect the world's "serious" mood. 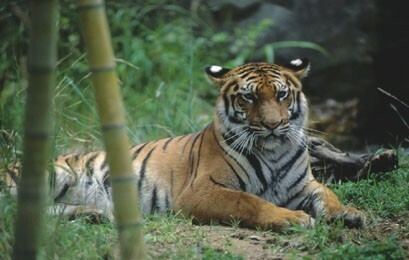 Ruthless poachers and lame preservation efforts threaten India's big cats with extinction. The report warns that, over the next 20 years, tigers are poised to "disappear in many places, or shrink to the point of 'ecological extinction'." But any gains for people can be a loss for the tiger, and consevationists argue that the tribal communities sometimes assist poaching. 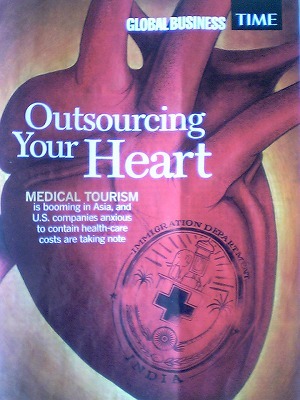 Medical Tourism is booming in Asia, and U.S.companies anxious to contain health-care costs are taking note. Procedures in Thailand and Malaysia, he found, cost only 20% to 25% as much as comparable ones in the U.S, ; top-notch Indian hospitals sell such services at an even steeper discount. After reading your article, I could finally recognize why Israel is so fierce and firm to demand Hizballah return only two soldiers and the battle between them this time has a new dimention of greater risk in that region. No compromise would be expected because even one soldier’s life is the raison d’etre for both Israel and Hizballah. A greater risk lies in a complex web of relationships among Israel, the U.S., Lebanon, Hizballah, Hamas, Syria and Iran. I am wondering in despair how much blood of civilians on both sides would be sacrificed for the states’ survival. Civilians have no choice but wait for a ceasefire and then for peace.